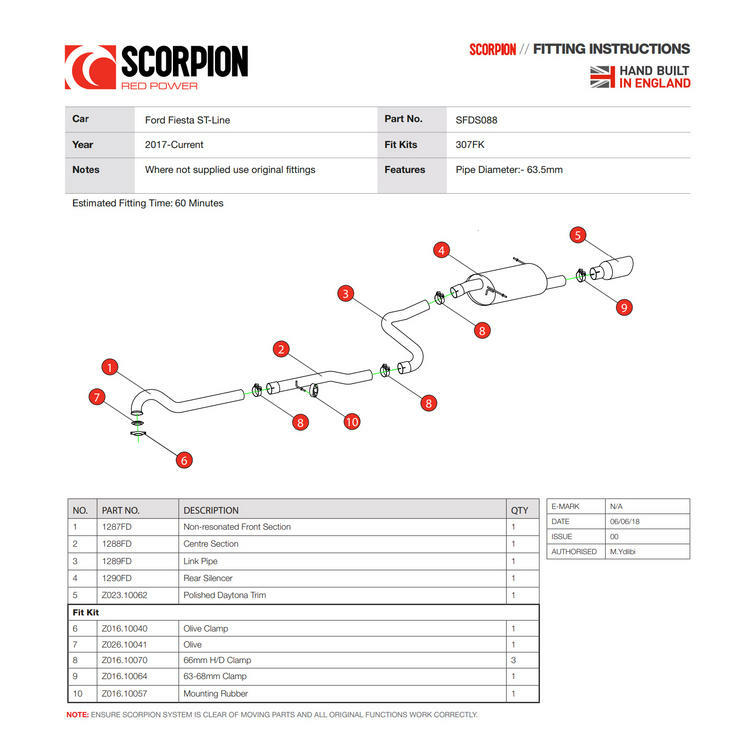 The Scorpion Car Exhaust Cat-Back System (Non-Resonated) Daytona - Ford Fiesta ST-Line MK8 1.0T EcoBoost 2017 - 2018 is part of the latest Scorpion Exhausts collection. 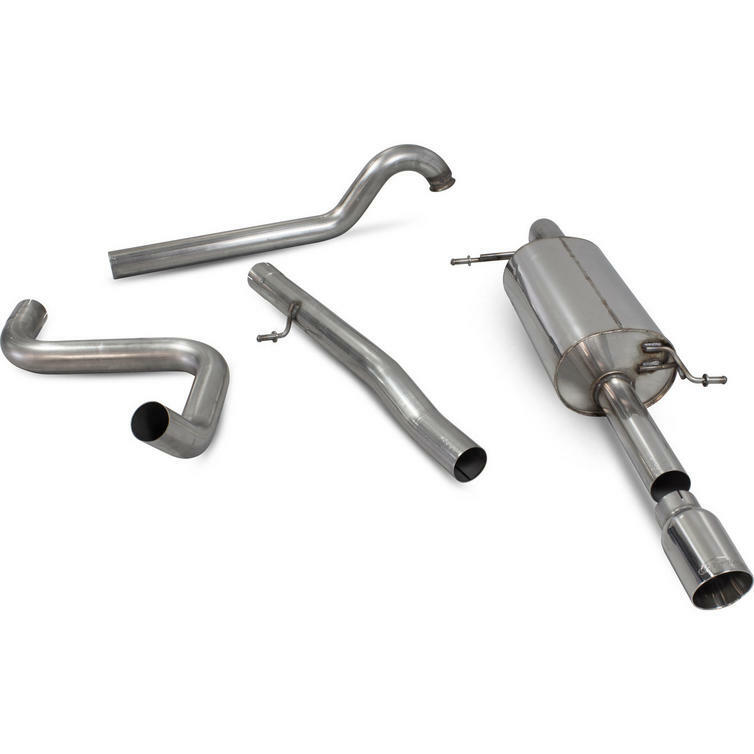 Scorpion are pleased to announce a new range of performance exhaust options to suit the Ford Fiesta ST-Line MK8 1.0T EcoBoost 2017 - 2018. All new developments for this model are constructed from T304 stainless steel 63.5mm (2.5") pipework for fantastic build quality, durability and performance enhancement. Firstly, technicians a developed rear silencer only option. 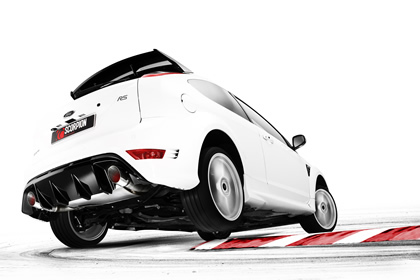 The kit contains an acoustically developed rear silencer and a 90 mm Daytona tailpipe which can be selected in polished or black ceramic finishes. Scorpion's technicians have also developed a cat-back system for buyers looking for better overall performance as well as enhanced aesthetics. The cat-back system can be selected in resonated (more suited for long drives and motorway cruising) and non-resonated formats (slightly louder with sporty overrun). The acoustically developed rear silencer and tailpipe options stay the same as above. 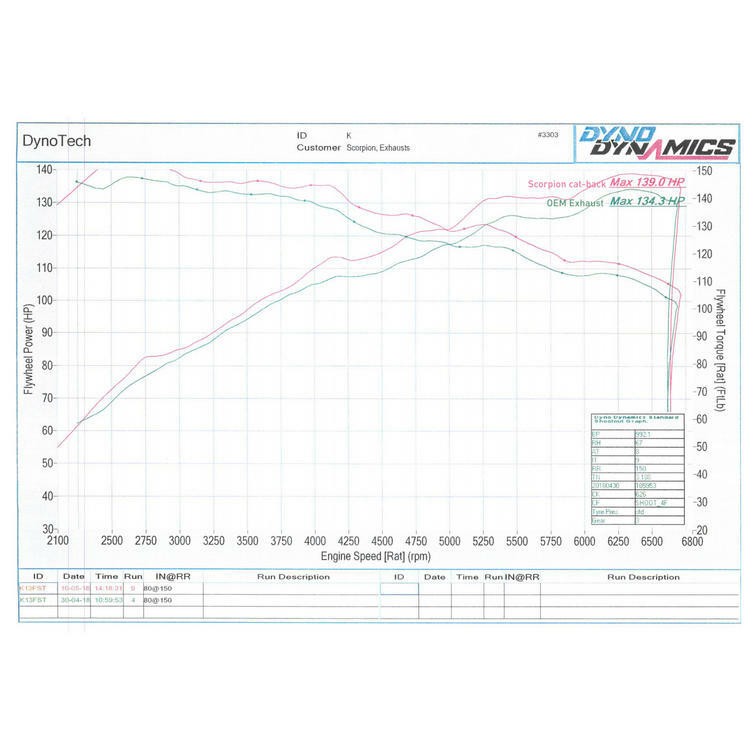 Buyers looking for greater tuning potential will be excited to know there is also a hi-flow turbo down pipe constructed out of 63.5mm / 2.5" pipe work. This can be selected with a 200 cell sports catalyst or de-cat section. 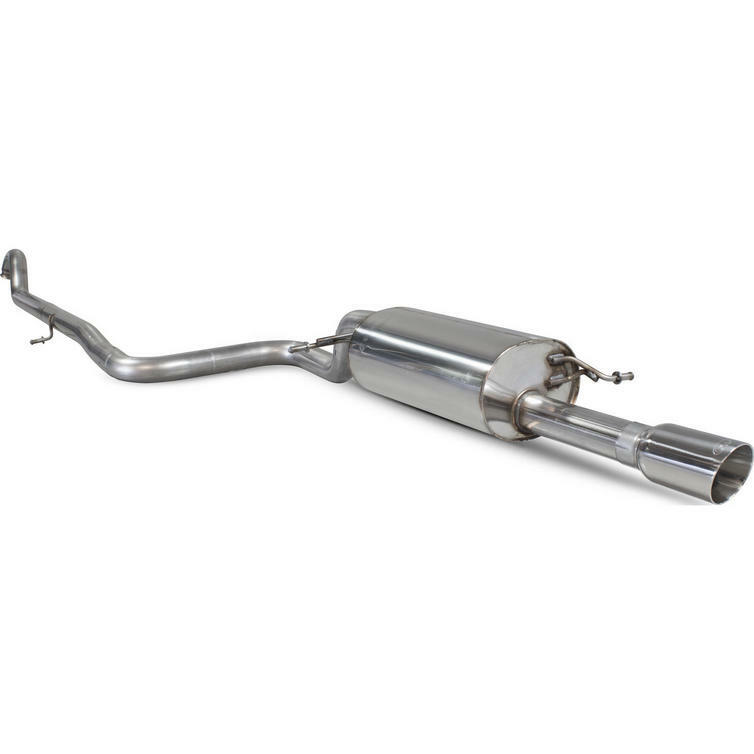 The turbo downpipe is fully interchangeable and fits with OE or Scorpion cat-back system.